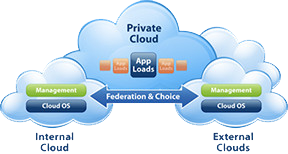 Virtualize any application. Respond to business faster. Trust your cloud. Teknologix draws on best practices developed by Certified Virtualization Experts®, VMware and Microsoft Certified Professionals, Certified Trainers and Instructional Design Specialists working in concert to deliver the best virtualization training experience available in the industry to transfer the real world skills needed to deploy, manage, and maintain a virtualized infrastructure. From authorized, comprehensive, to customized training solutions tailored to your needs, Teknologix can do it all. Choose from live onsite deliveries, Instructor lead classes offered across the country, our popular live online classes, or self-paced e-learning options that let you proceed at your own pace. Maximize your investment in virtual infrastructure and align yourself with Teknologix Specialists who are backed up by VMware Certified Professionals (VCP®) who work across the entire organization to address any virtualization need. You’ll get deployment best practices, roadmap insights and proven guidance for your virtualization projects so you can avoid pitfalls and increase your ROI (Return on Investment). Information Technology should be cost effective, flexible, highly efficient, and not hold you back or slow you down. Teknologix delivers IT solutions that empower organizations to become agile, accelerate their ability to quickly scale and grow, and deliver what customers want, when they want it. If your business suffers IT inefficiencies, high infrastructure cost, and is in need of an IT makeover, Teknologix can help. Teknologix allows enterprises to accelerate their transition to the cloud and adopt a more efficient, agile service delivery model – IT as Service. Our approach is simple, giving businesses the control they are looking for over critical elements of their IT strategy while lowering overall operating cost and building cloud infrastructures tailored to meet the unique challenges they face. Teknologix helps companies reduce their Total Cost of Ownership (TCO) while increasing overall security, scalability and reliability of the environment. Teknologix has also helped customers realize the beneIts of server-based computing on their internal networks. As certiIed par tners with VMware, Microsoft, Dell, EMC and NetApp, our team has over 70 years of combined experience designing and implementing these solutions. Accelerate your virtualization implementation and minimize risk by taking advantage of Teknologix consulting and training services. Ensure a successful deployment of virtualization and cloud solutions across your IT infrastructure and get it right the first time. You’ll achieve the highest levels of efficiency, manageability, and agility for all your IT services, from the desktop to the datacenter to the cloud. Teknologix helps companies reduce their Total Cost of Ownership (TCO) while increasing overall security, scalability and reliability of the environment. We enable companies to take advantage of new applications and technologies that were previously too costly to implement on internal networks. Teknologix offers an array of solutions ranging from complete IT outsourcing to disaster recovery and hot site services. Teknologix also tailors customized outsourcing solutions that offer significant cost savings while maintaining the desired level of flexibility and control over the environment. © 2016 Teknologix. All Rights Reserved.